Your options are endless with BannerBuzz menu printing! Use our design tool to add your logo and branding information,then choose a color and style that reflects your brand. Not a designer? 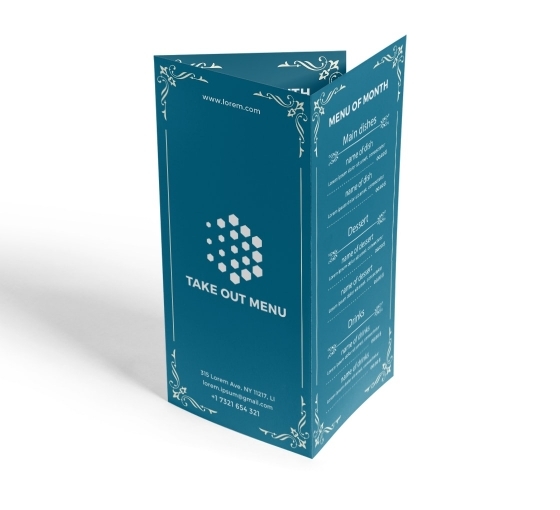 Work with our professional design team to give your take-out menus the perfect look for your business.Your menu is not just a list - it's an important marketing tool. Create the perfect menus for affordable prices with BannerBuzz!